Nurture creates intentional spaces of community, connection and nourishment for you – a busy entrepreneur, artist or leader doing important work in the world (this includes you, parents!). 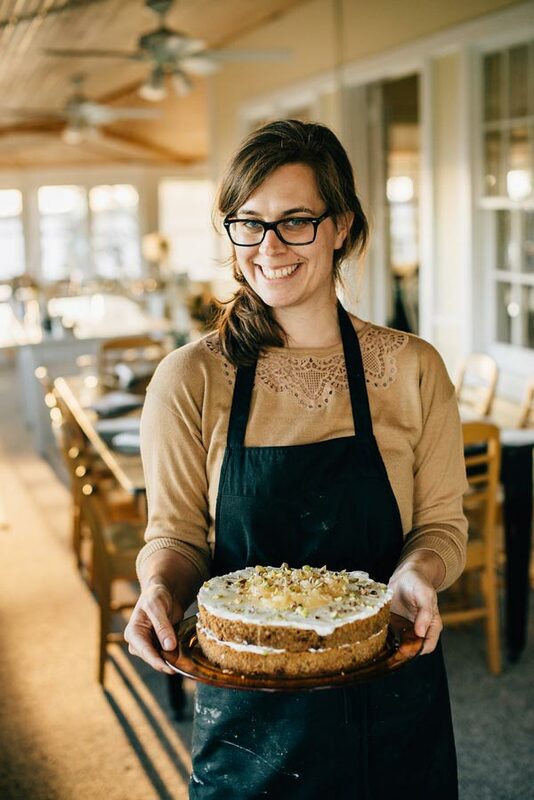 Through day & weekend retreats & monthly harvest table dinners, Nurture’s offerings bring you back to your intuition, inspire your creativity and provide a context of curiosity and compassion for the inevitable ups and downs of your life and work. Nurture is a safe space to show up exactly as you are to recharge in the warm company of kindred souls who get it. Food plays a large role at Nurture be it via our own offerings or when catering your own branded workshops or creative events. We bake love right in. We pay ardent attention to aesthetic and detail with ingredients that are seasonal and organic where possible, and work with all of your food sensitivities. Our bespoke menus allow everyone at the table to have the experience of abundance, sensuality & deliciousness. We can’t wait to gather around the table with YOU! What began as a seasonal weekend retreat for women entrepreneurs in the fall of 2015 has flourished into a diverse community of like-minded creatives that have, since meeting at Nurture, gone on to co-create numerous other collaborative offerings. Alongside the twice-yearly offered retreats, Nurture expanded by collaborating with artists & entrepreneurs (Sarah Slean, Souvenir, Dream, Girl, Shecosystem & more) to cater and curate events where the food creatively reflected each event & brand. The Nurture team is excited to announce we’re searching for the perfect farm property to open the Nurture Creative Retreat Centre & ‘Coworking B&B’ where freelancers, creative teams and artists can gather for a ‘working holiday’ and connect with like-minded others over delicious, family-style farm-to-table dinners in an inspiring and relaxing rural setting. I think every person needs a place of Self to retreat to – for me, that place is the kitchen. I call it my ‘kitchen boudoir’ – a place where I can connect, create, unfold, nurture, and share my creations as an act of love with myself and with others I care about. I am a food-obsessed word nerd or a word-obsessed food nerd, depending on the day and love to get creative in the kitchen. Gathering people to feast around a table having conversations that matter is my ultimate happy place. I believe wholeheartedly that creativity is a form of holy self care – that’s been the only way past my own chronic intellectual, stuck-in-overthinking-mode ways. I started Nurture out of a need in myself to work alchemically with my darker, needier, or unmet parts. I immersed myself in the transformational ‘schools’ of playing with food, playing music, playing with words on the page, and that lead me to want to do and learn and grow more because I started to feel more and more myself and more and more alive. Combine this creative adventuring & soul tuning with my childhood dream of renovating an old farm house and building a bed & breakfast for creatives, and the seedling of this company was born. I want to nurture: Community. Connection. Creativity. Collaboration. This is what feeds me. Oh and butter. You could court me with butter.